A Burial service is generally preceded by a church service, however it doesn't have to be. Some families prefer to have a chapel service, followed by a burial. Generally a family will choose a burial for religious or traditional reasons. They may like to visit the grave which generally differs from Cremations, where the ashes may be scattered somewhere else. Some people have family plots that may have been purchased many years ago and therefore there is already a place for them there. There are many types of graves and this is something that you will need to decide upon before the funeral. Different cultures have specific types of graves that are traditionally being used. Guiding Light Funerals would be glad to assist you when you are deciding what type of grave you will be requiring. 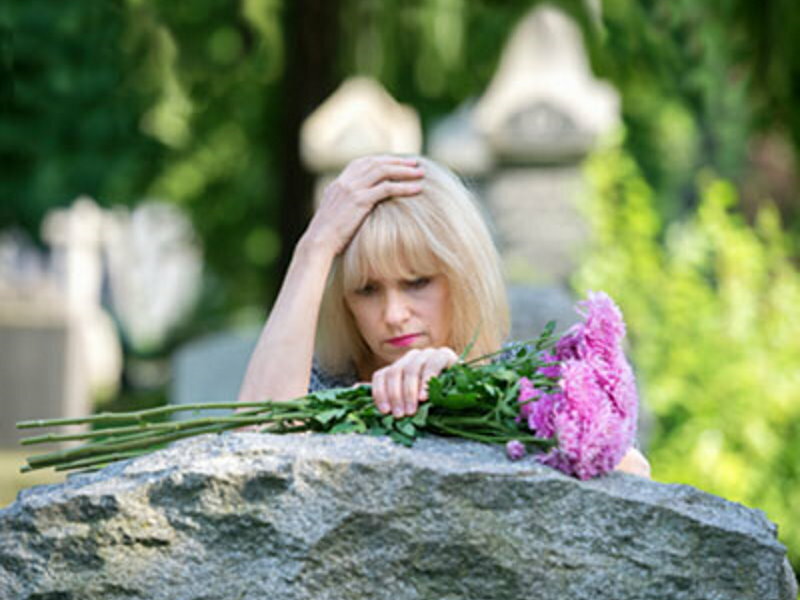 We can make the necessary calls to the cemetery for you, however it is advisable that you actually drive to the cemetery to make sure that it is exactly what you are looking for. These are the different types of Graves available at most cemeteries. This is a popular choice for marking a burial. A Monumental Grave is a solid and lasting commemoration. Monuments for these types of graves are created from granite or marble - and cover the entire grave. Monumental Graves can usually accommodate up to three burials and can be created in conjunction with your choice of stonemason, or be guided with the advice and assistance of the cemeteries consultants. Pictured here is a monumental grave with a canopy. Please discuss these options with the cemetery of your choice or contact us for advice. A perfect balance between the simplicity of a lawn grave and the substance of a traditional grave, a Lawn Grave with headstone is a masonry headstone in a lawn setting. Headstone Lawn Graves can usually accommodate up to three burials. Headstones can be created in conjunction with your choice of stonemason, or be guided with the advice and assistance of the cemeteries consultants. With the needs of our diverse communities, there is a broad range of in ground burial options in a variety of established garden setting and in specific cultural and religious locations. Marked by a personalised plaque set in a pre-existing concrete beam set at ground level - enhancing the presence and permanence of the memorial plaque. This is a simple and dignified way to commemorate a burial. Lawn Graves can usually accommodate up to three burials. Plaque options vary depending on the location of the burial, but usually include a choice of granite or bronze plaque and a couple of size variations. Bronze plaques rest in serene and beautifully maintained lawn areas, surrounded by established gardens. These are tranquil, pastoral environments, uninterrupted by monuments. Pre-installed strip beams are placed within the lawn to provide a stable support for the plaques in some cemeteries ensuring long term stability. We can help you select a grave within a botanical setting. A Mausoleum complex blends contemporary design with the oldest of interment practices. Influenced by the great architecture of Europe, with sweeping staircases and stained glass to create an aura of reverence. The building is finished in the highest quality materials including imported marble and fittings. Individual crypts hold up to four caskets, every crypt is finished with a vase and lamp. Looking back in history, we see many architecturally magnificent structures commemorating the memory of those we have loved, honored, and lost. Some families today still like to have their family all together in a Private Family Vault. For more details, you will need to contact the cemetery of your choice to discuss the details with them.